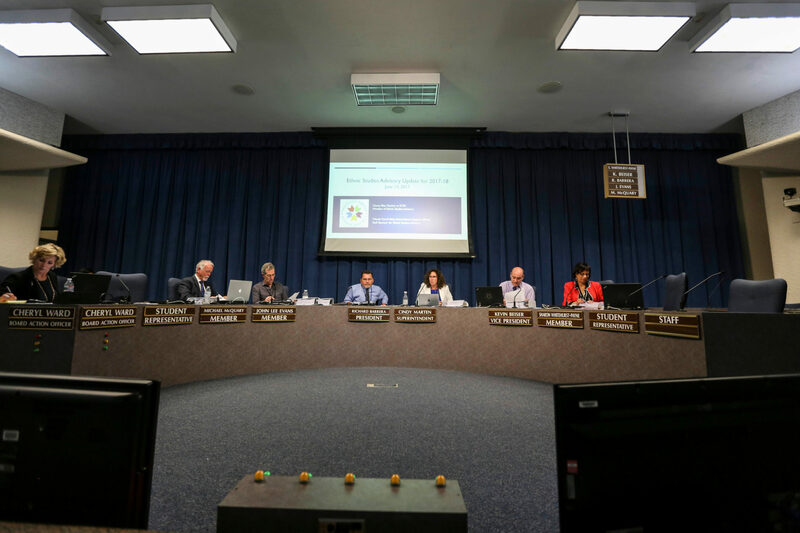 Under pressure from a proposed state law, the San Diego Unified School District reversed course this week and put an end to the practice of sending professional debt collectors after parents who are late to pay bus fees. The proposed law would prohibit school districts from doing what San Diego Unified was doing: Sending parents to debt collection agencies for overdue school fees. In explaining why the law was needed, the bill’s author, Assemblywoman Lorena Gonzalez Fletcher, cited VOSD’s reporting on the district’s practices. “This week’s decision represents a change in tone by school board members,” Mario Koran wrote. Three current board members also sat on the board when it originally voted to begin exposing parents to collection agencies. While Trustee Kevin Beiser noted this week how 75 percent of students can already ride the bus for free, Koran pointed out they can only do so if a bus is offered in their neighborhood. “In the past seven years, the district has slashed its busing program by nearly half,” Koran wrote. In our most recent episode of I Made It in San Diego, we take you inside the music studio of Jay Wat, a music producer who often works with young artists from poorer communities of places with high crime. Wat grew up with a voracious music appetite and was able to turn it into a career. “Somehow, destiny guided me,” Wat told us. Kinsee Morlan, who produces this series, said this is the best episode yet. There have been some good ones. The story comes to us via freelancer Jonah Valdez. I Made It in San Diego is our podcast about the people behind San Diego businesses. You can stream this newest episode or catch up on old episodes, too. If you’re a world traveler, you could get more flight options to Asia. Our Maya Srikrishnan learned about a new air cargo facility about to open near Tijuana’s airport. It’s part of an effort to position Baja California as the Latin American connection to Asia. San Diego may benefit. For one, more air cargo and trade between Tijuana and Asia will also increase the number of passenger flights between Tijuana and Asia. But more importantly, while President Trump has cast uncertainty over international trade agreements, San Diego and Tijuana keep building stronger ties. The new facility could allow San Diego businesses that want to export to Asia to work via Baja California instead of Los Angeles. University Heights resident Dave Hamrah is watching the surge of popularity in his neighborhood with skepticism as more dense construction is envisioned with fewer places to park. “A tsunami of development is rolling in from North Park along El Cajon Boulevard,” Hamrah writes. Increased public transit through the neighborhood was planned to help offset the impact of fewer parking spots, which Hamrah says is “a big leap.” “The feeling among my neighbors in University Heights is these projects are being forced on residents,” Hamrah writes. This adds to the growing list of questions about city water officials’ ability to provide basic services to city residents. 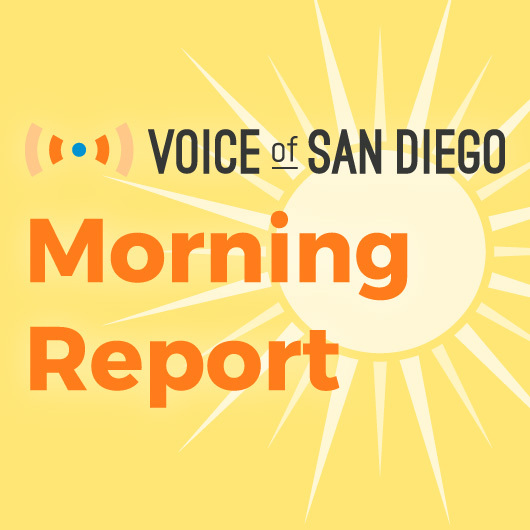 On Thursday, Mayor Kevin Faulconer held a press conference to announce that he’d asked the recently-hired director of the water department to conduct a top-to-bottom review of department. The mayor also said he’d asked the city auditor to look at the city’s “smart meter” program. This week, we reported that the water department’s assistant director and the former head of the smart meter program both tried to delay an audit of the smart meter program. KPBS’s Andrew Bowen notes that an explosion of bike sharing programs is about to arrive in San Diego. After a period of questioning whether the city could permit any additional programs to operate in San Diego, the path is clear and the bikes are coming. LimeBike, which operates a dockless platform where users are able to leave the rented bicycle wherever they stop using it, launched operations on Thursday. San Diego loves its artistic renderings, and the latest one is of a new building envisioned for East Village that would provide studios to low-income and homeless people. The proposal was under consideration on Wednesday by San Diego’s downtown planning board, Civic San Diego. The board praised the beauty of the building but couldn’t decide whether the city should continue to cluster homeless services in that neighborhood. • Read the letter written by a San Diego attorney on behalf of Assembly Member Cristina Garcia’s ex-staffers, who accuse her of inappropriate behavior. • Looks like a couple of pro football players are speaking out in favor of a proposed bill in the California Assembly that would outlaw tackle football before high school. Seth Hall is a local writer and technologist. You can email him at voice@s3th.com or follow him on Twitter: @loteck. Seth Hall is a local writer and technologist. You can reach him at voice@s3th.com or follow him on Twitter at @loteck.